Sarah joined WiSOR in 2017 as a Clinical Research Coordinator and Assistant Researcher for the Central Neck Dissection study. She is responsible for overall management of the study, including recruitment of study subjects, coordination of study visits and procedures for patients and qualitative data collection and analysis. 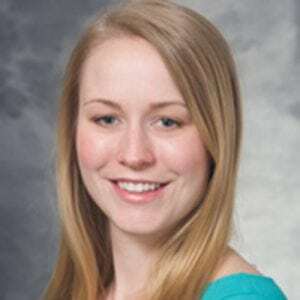 Sarah first came to the Department of Surgery as an undergraduate student, assisting Dr. Susan Thibeault in her research laboratory. After receiving her MPH, she returned to serve for two years as a Clinical Research Coordinator in the Office of Clinical Research. When she’s not at work, Sarah enjoys singing in various community choirs in Madison as well as her folk rock band Future Lives.